This board enables you to connect switches and pushbuttons to the flight simulator via LAN. Plug and Play with JeeHell and ProSim (A320 and 737), others on request. The board includes 64 inputs. Connect the ground of your supply voltage to one pin of the switch. Connect the second pin of the switch to the board. 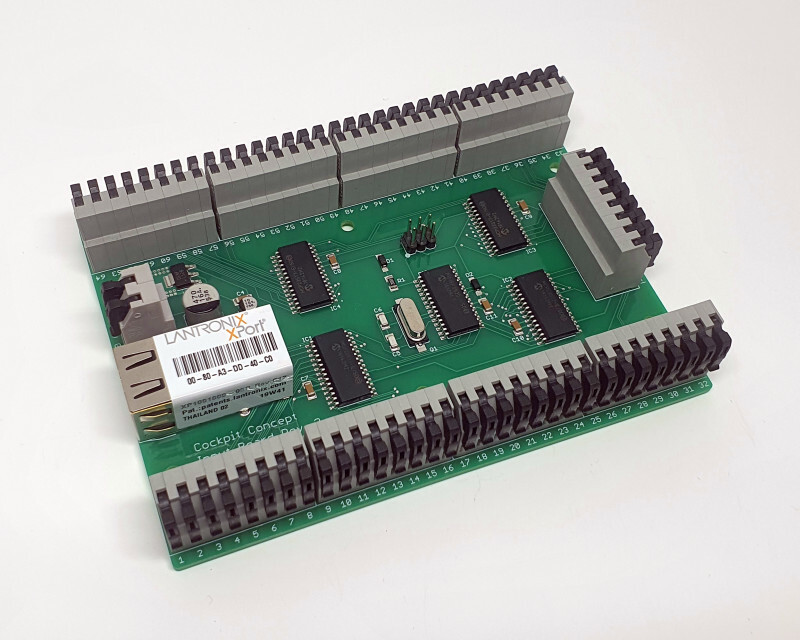 The board detects an active input if ground is connected. Ready to ship in about four weeks.